Gloucestershire Public House sold by Leading National Licensed Property Agents Guy Simmonds. 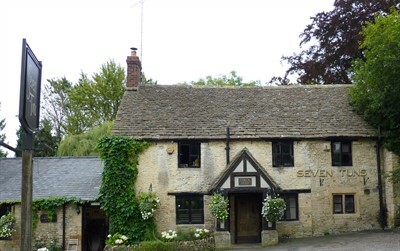 Just sold by Guy Simmonds is The Seven Tuns, Chedworth Gloucestershire. The fully refurbished 17th century Village Inn is set in the highly desirable village of Chedworth, in the heart of the Cotswolds and a short drive from the popular Spa town of Cheltenham. The beautifully presented business is a free-of-tie leasehold with Wellington Pub Company. The business was sold off an asking price of £99,950 to Mr Tom Conway.